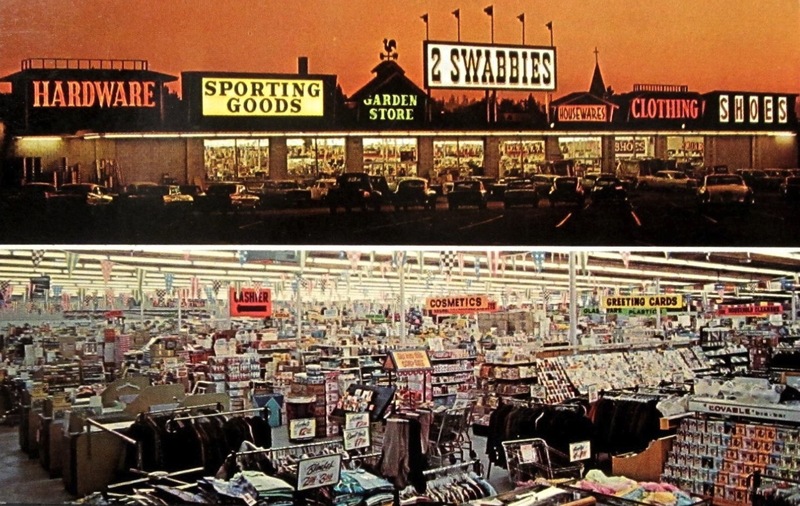 Spokane's most unusual shopping center. 1 acre under one roof. Jake & Ray Olsen, Owners. 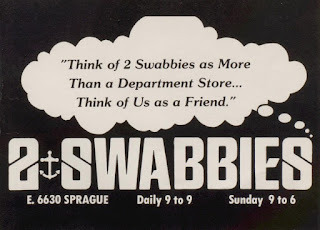 "Think of 2 Swabbies as More Than a Department Store...Think of Us as a Friend. Daily 9 to 9. Sunday 9 to 6"